This beautiful Silver Chelsea Necklace by Liberte is a unique and eye-catching piece of contemporary jewellery. 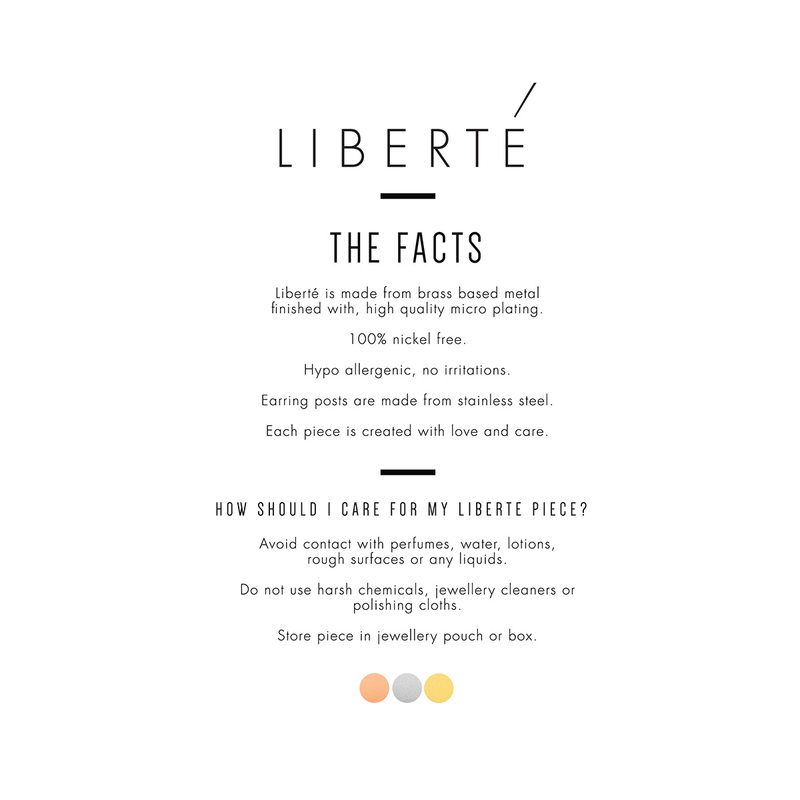 Material: Liberte jewellery is made from brass based metal finished with high-quality micro plating. 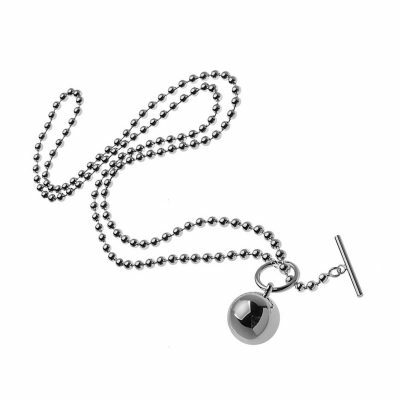 This piece is 100% nickel free and is hypo allergenic (no irritations). 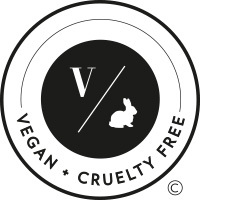 Each Liberte purchase comes beautifully gift boxed! 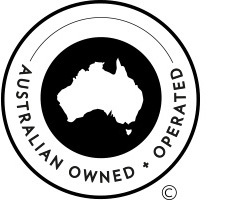 Designed in Australia Made Overseas. 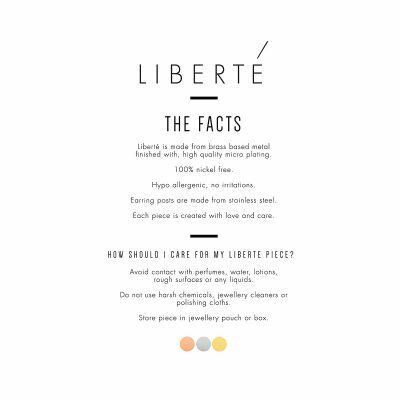 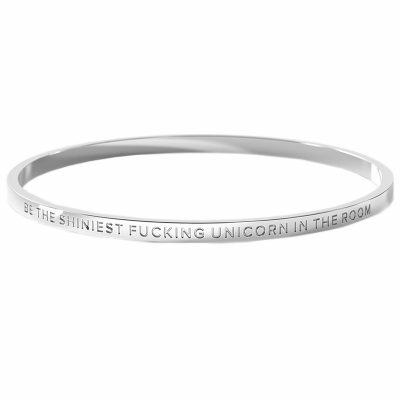 Liberte is a Melbourne based designer fashion jewellery brand established in 2006. 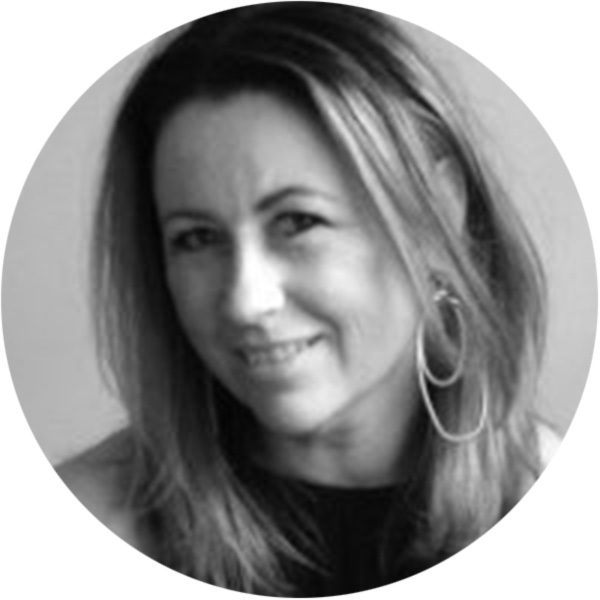 The brand is the brainchild of head designer and creative director Jane Dixon. 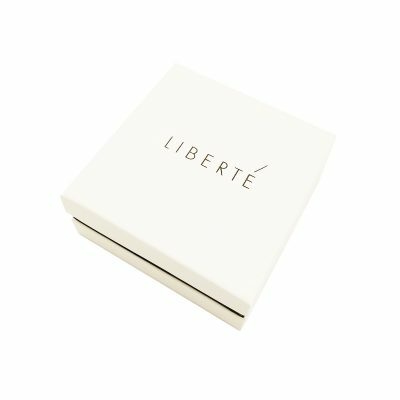 Liberte has a strong following and stocks to bespoke lifestyle, gift and fashion boutiques within Australia. 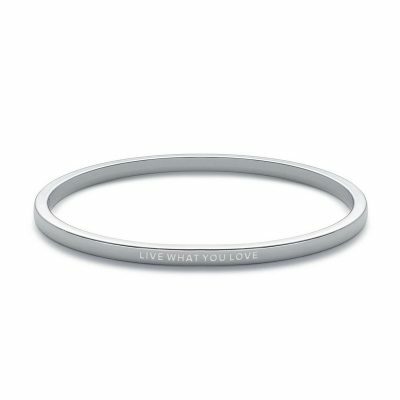 All pieces are made using a high-quality micro plating and are 100% nickel free. 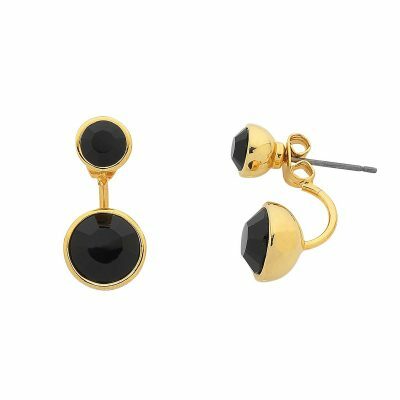 Liberte is known for its classic on trend styling and luxe finishes.